Two policemen at the Monticello, New York, police station near midnight on Saturday, January 30, 2016, reported hearing a very loud boom, and also said their cars and the police building shook and rattled for a second or two. 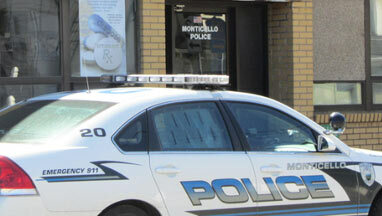 Image by Monticello Police Dept. February 2, 2016 Albuquerque, New Mexico - Since January 9, 2016, there have been dozens of loud booms and metallic sounds reported in Pennsylvania, Oklahoma, Nebraska, Florida, Alabama, Texas, Colorado, New Jersey, Kansas, South Carolina and now Sullivan County, New York.